Having recorded eight albums and one EP within a ten year span, Greg Pope is a very prolific guy. What’s even more impressive is that each release is better than the last. His latest, entitled A Few Seconds of Fame (release date October 1), is a more than worthy follow up to 2016’s Guiding Star and raises the bar yet again. “Forget About You” is a short slice of pure pop, clocking in at just a hair over 2 minutes. With an unforgettable hook of a chorus, it’s the perfect lead off track. As with all Greg Pope albums, the songs are extremely well written. With A Few Seconds…, it’s the little things that make this album special. The oohs and aahs of “Retread”, the wonderful slide guitar on “Dreams About You” and the ideally placed harpsichord intro to “Planet Earth” all help make for a unique and very engaging album. 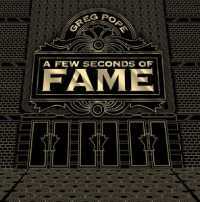 You can get Greg Pope’s A Few Seconds of Fame on CD at his Bandcamp page or through CD Baby. 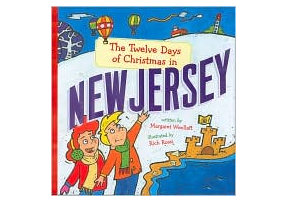 Get the digital version at iTunes. A Few Seconds of Fame is HIGHLY RECOMMENDED listening.